81% of people leave the online travel booking process. because they had more research to do. There is a gap in information provided by vacation rental websites. In an attempt to fill that gap visitors leave and go to other travel websites to do more research. 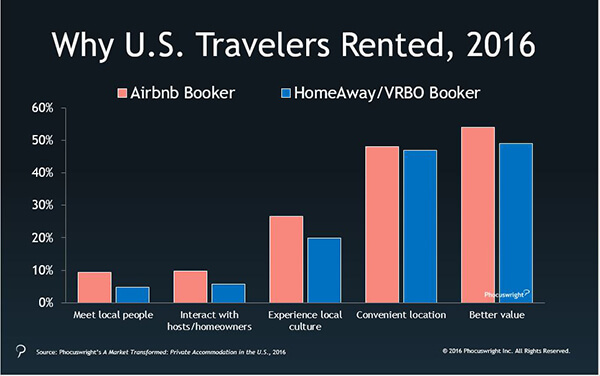 So how can vacation rental websites retain those visitors? Only-apartments, a vacation rental website with more than 125.000 apartments in 109 countries, understands the problem and is taking steps to address it. With the help of TopPlace™ Location Score Elements by AVUXI, they are able to display accurate and easy to digest information about location of their apartments. Making it easy for their visitors to learn about an area and choose a location to stay at on their next trip. Here are 5 recommendations for vacation rental websites, that can be drawn from this initiative. 1. TELL YOUR VISITORS ABOUT LOCATION. Location and price-quality ratio are two most important criteria for online travel bookings. You provide property photographs and price to help travelers understand its value. It is as necessary to tell them about the surrounding area – is it good for sightseeing or nightlife, are there good restaurants or shopping spots nearby, is it suitable for families with children or single travelers? Internet browsing enables users to move easily from one page to another. Most internet users spend less than one minute on the average website. It is difficult to make your visitors spend more time on your website. Use visuals to present the necessary information in a quick to digest visual format. A recent study shows that Google Maps is the site that travelers visit the most during the decision-making process. This proves that location information presented in a visual format is one of the most important insights you can give your visitors. Google Maps is the main digital touchpoint in the travel decision-making process. Support your visitors’ research process by providing relevant content. Give them information about destination, provide maps, heatmaps of best areas, tell them what the neighbourhood is like and what are good points of interest nearby. 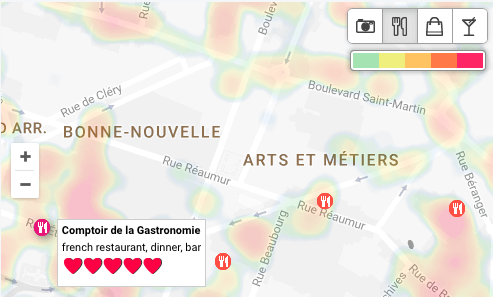 TopPlace™ Heatmaps highlight the best and most relevant areas for various traveler activities, for example best areas for eating out. The power of customer reviews and ratings is increasing. 88% of consumers trust online reviews as they would a personal recommendation. 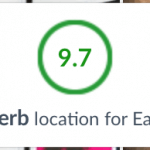 If any of your properties do not have any customer rating yet, TopPlace™ Location Scores helps solve this problem: it displays location scores and descriptions for any property in the world, even for new properties that have just been listed. Don’t neglect the importance of testing. What works for some other vacation rental websites, might not work as well for you. Don’t throw all tools together and hope that one of them will work or try to guess which one is working. Try new initiatives and don’t forget to measure the results. When Only-apartments integrated TopPlace™ Location Score Elements, they performed diligent A/B testing. Upon seeing positive results on conversion rates and booking value, they decided to continue using the service. This is why AVUXI offers a free trial of TopPlace™. TopPlace™ is a worldwide location ranking system developed by AVUXI. It provides location insights for hotel and vacation rental websites, aimed to help their visitors understand the location quickly and make booking decisions without leaving the website.